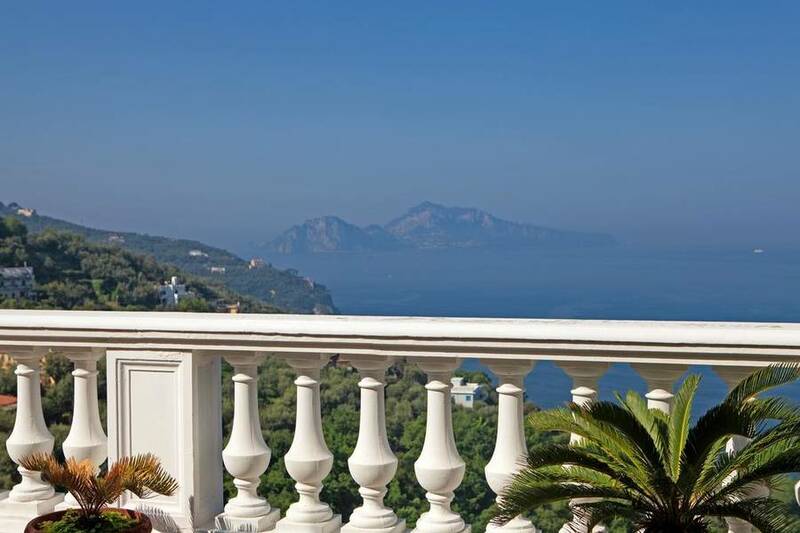 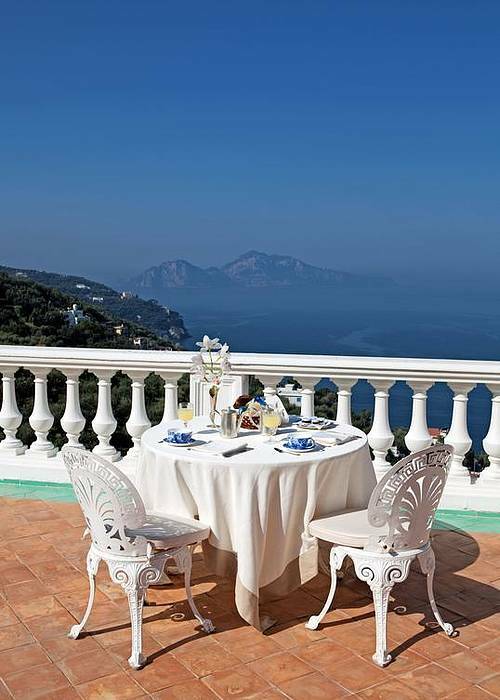 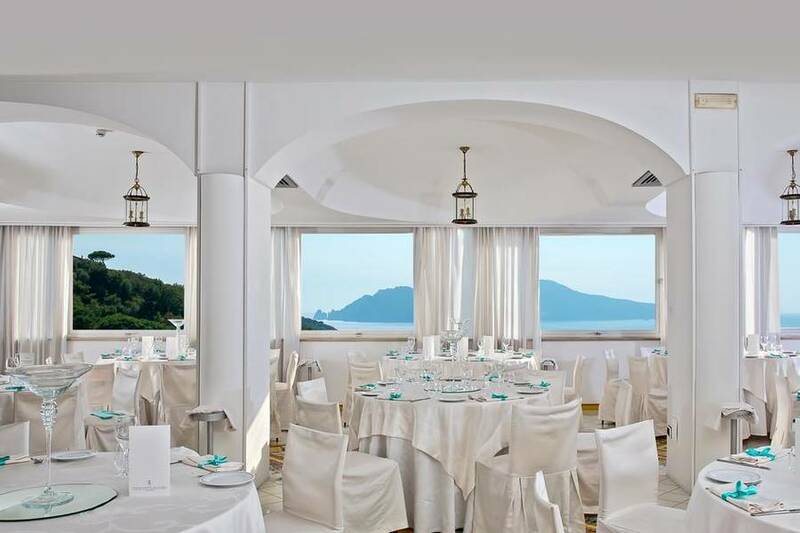 You'll fall head over heels for Italy and the Mediterranean as soon as you arrive at Hotel & Spa Bellavista Francischiello, an unforgettable boutique hotel located in charming Massa Lubrense facing the island of Capri just across the water. 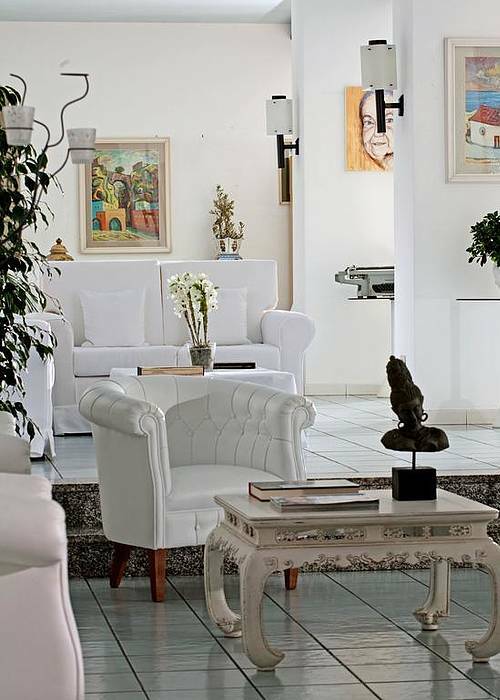 Bellavista Francischiello is the epitome of classic style, with a crisp white decor offset by the bright colors of the Mediterranean coast and elegant artisan furnishings from Sorrento paired with elements of modern decor. 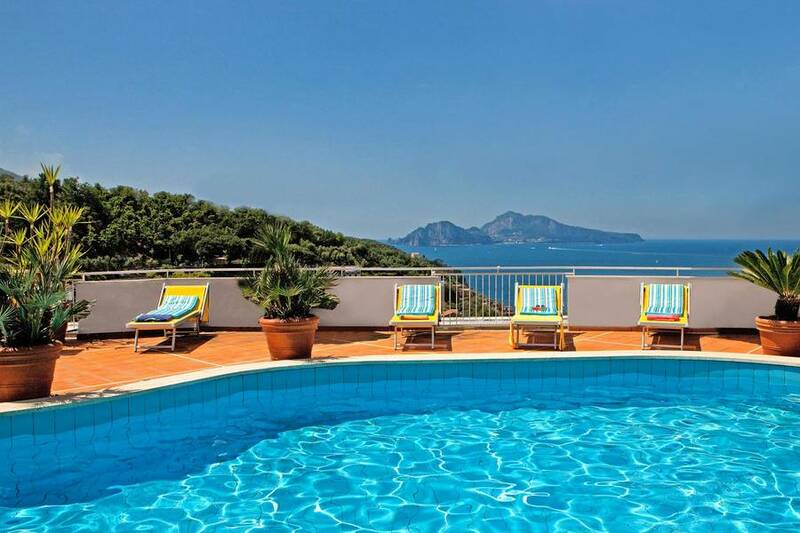 A panoramic outdoor pool tucked directly into the clifftop overlooking Capri, with a sun deck and snack bar where guests can relax and savor the view...you may find it hard to leave once you've settled in poolside at Hotel Bellavista Francischiello! 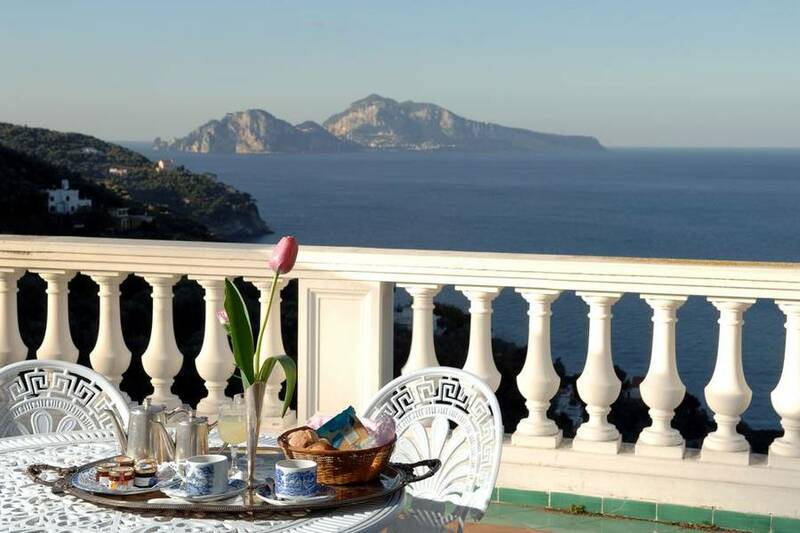 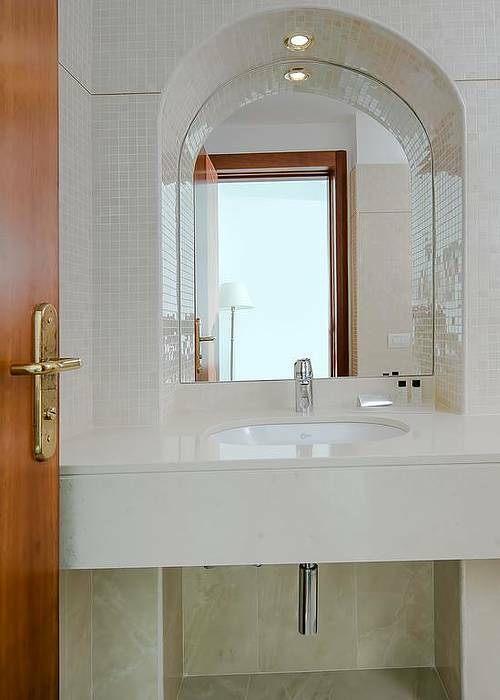 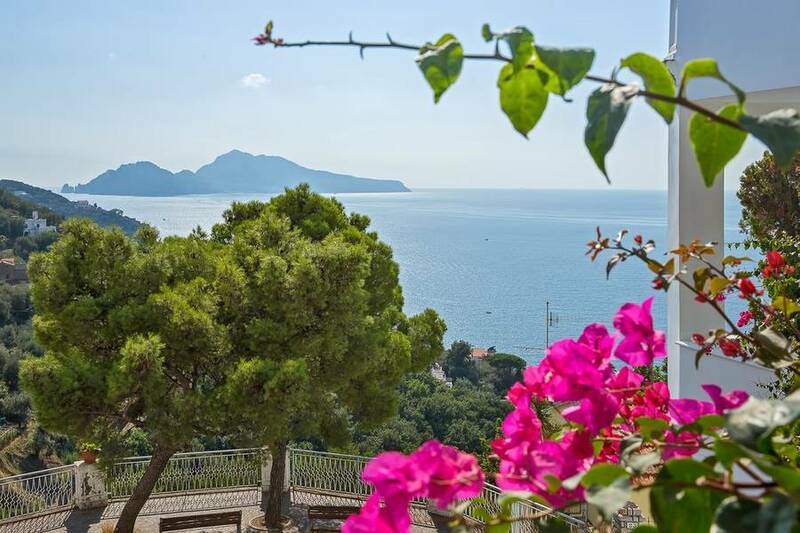 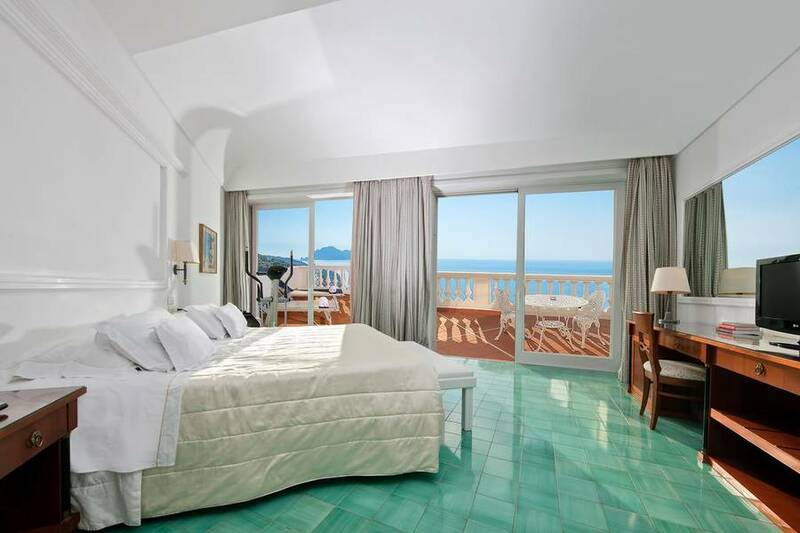 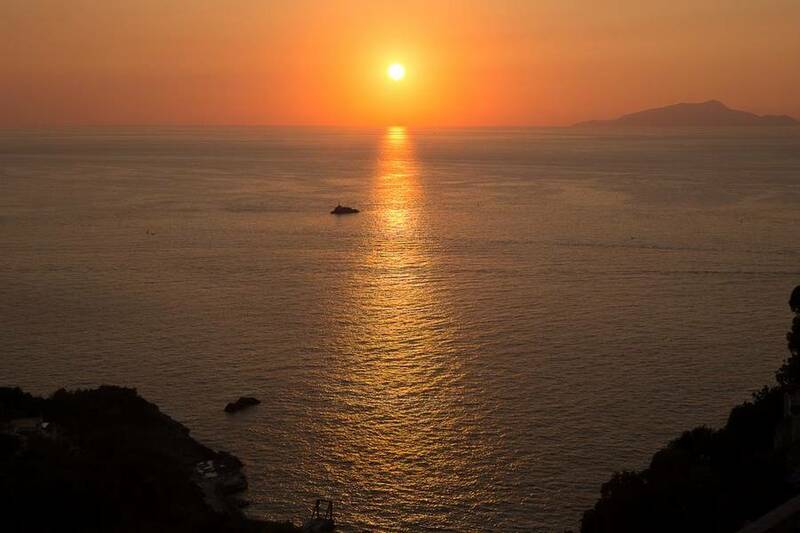 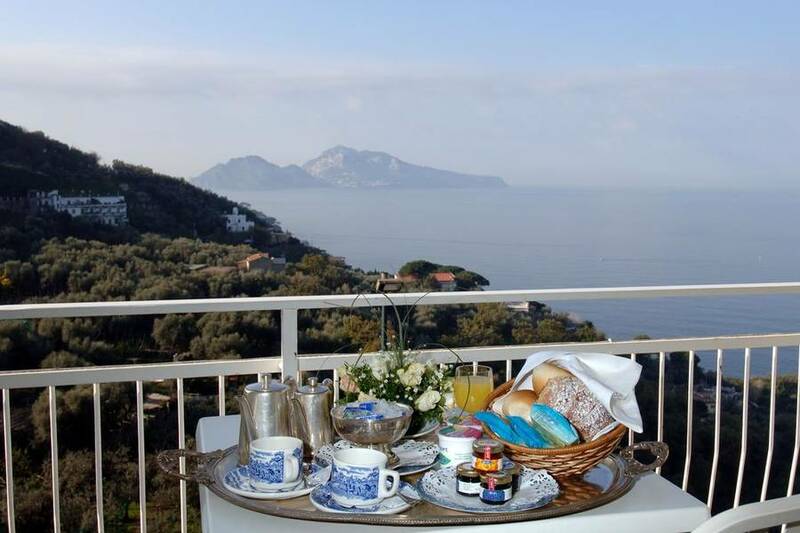 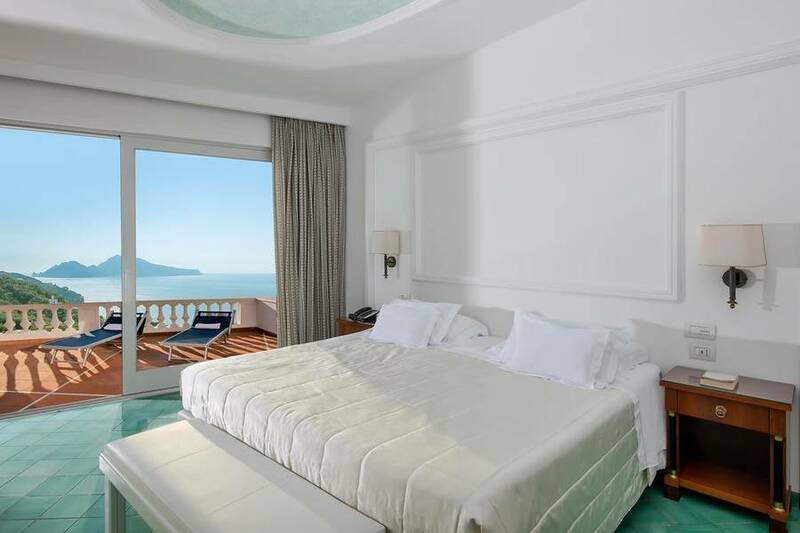 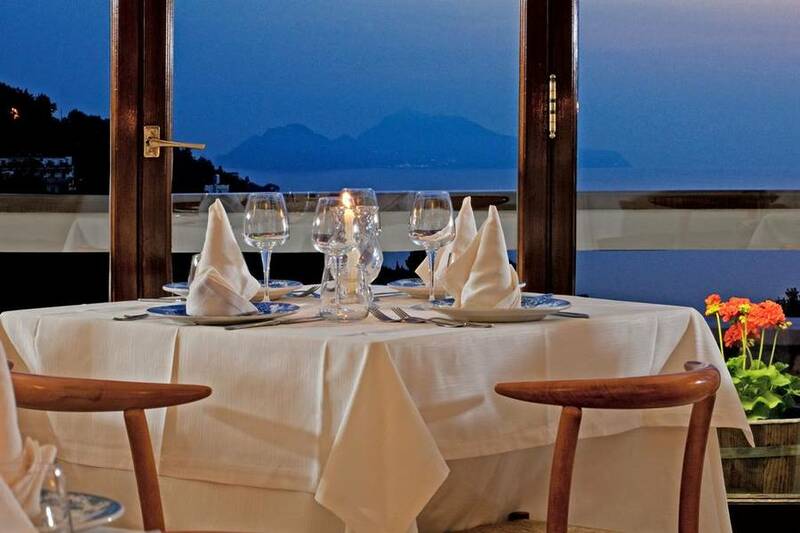 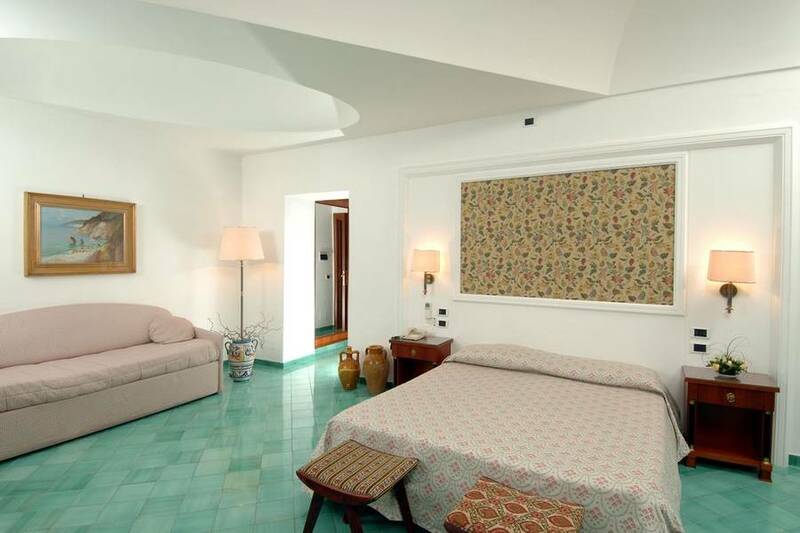 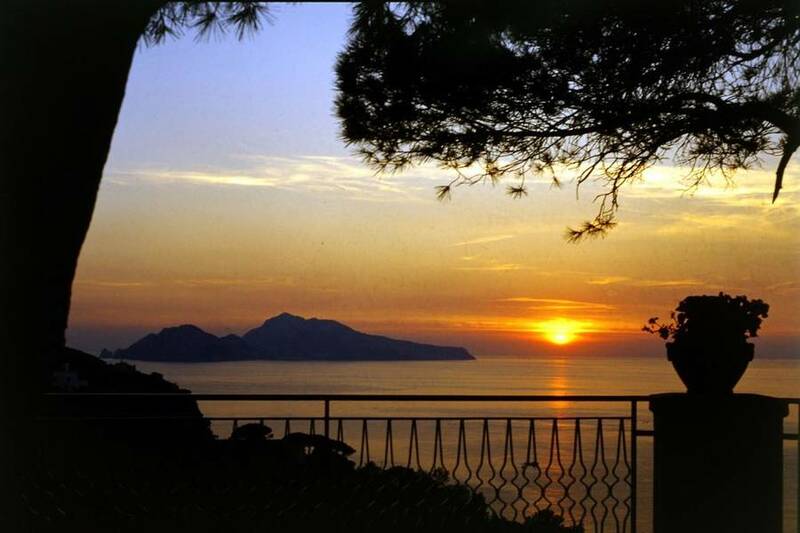 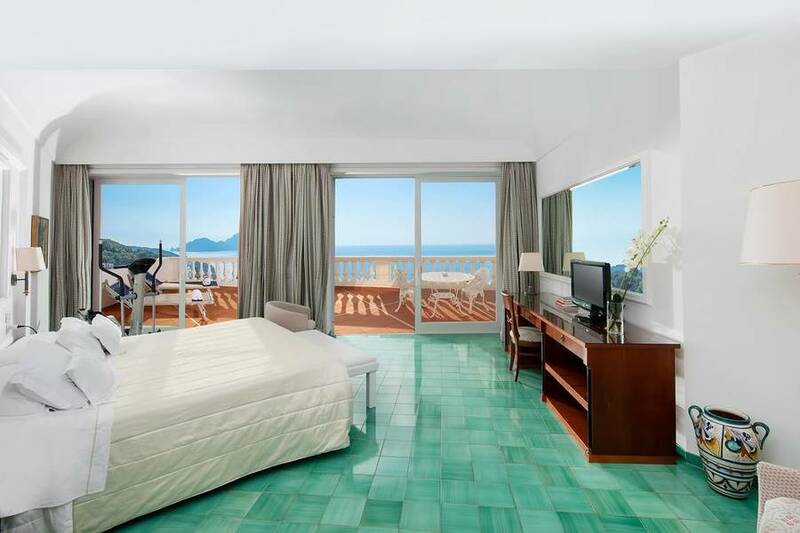 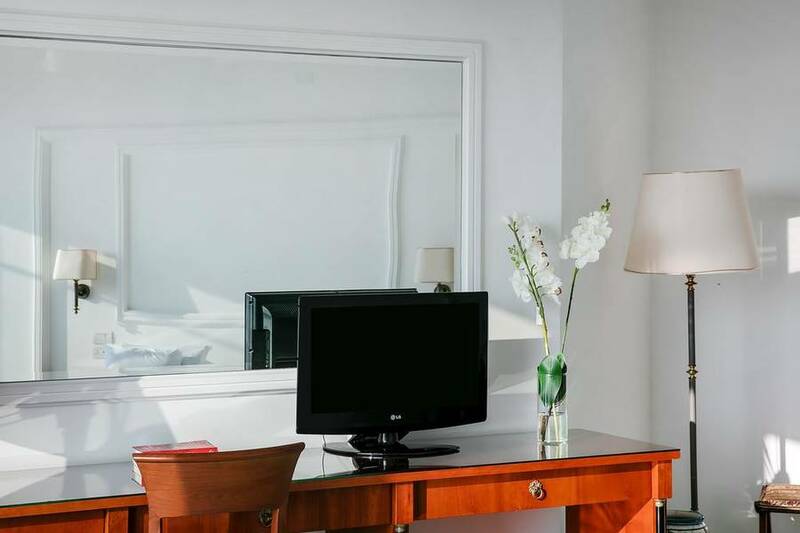 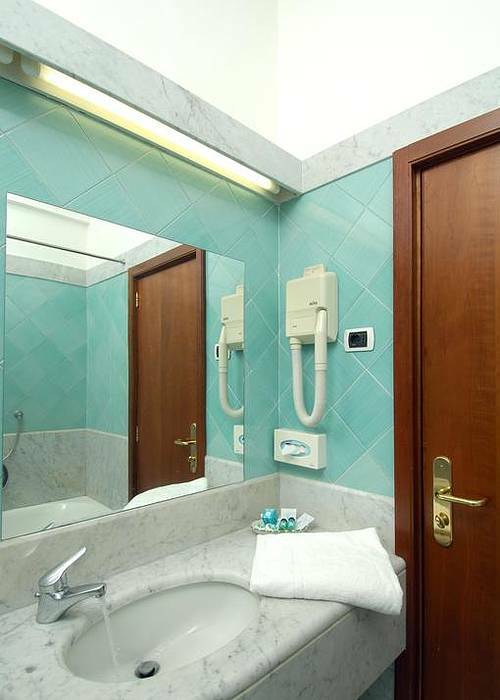 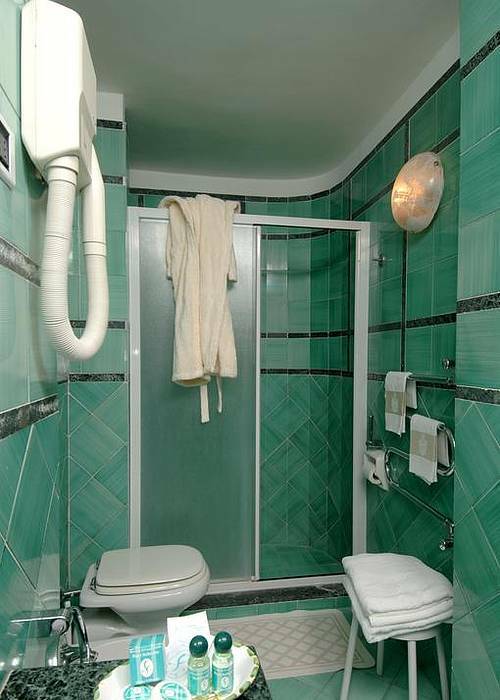 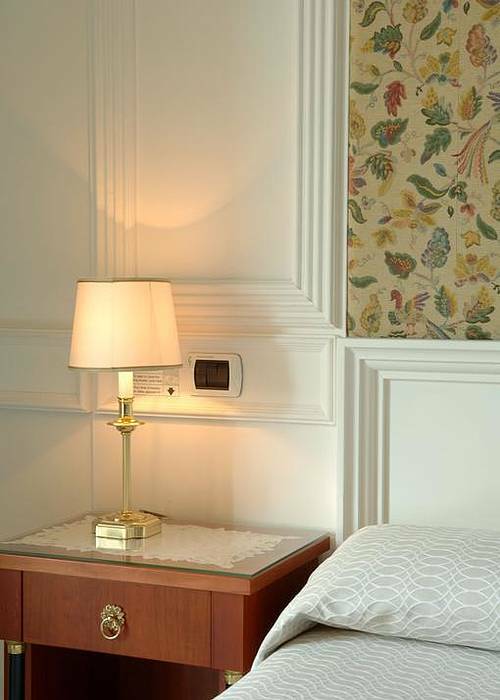 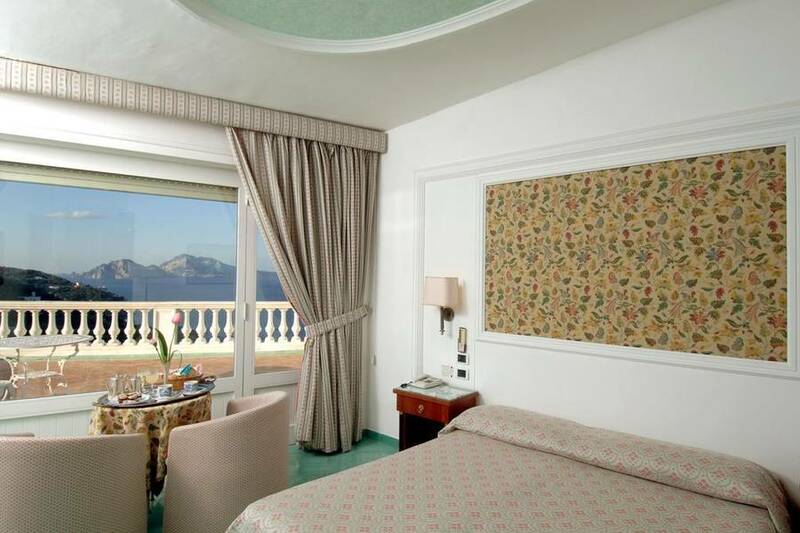 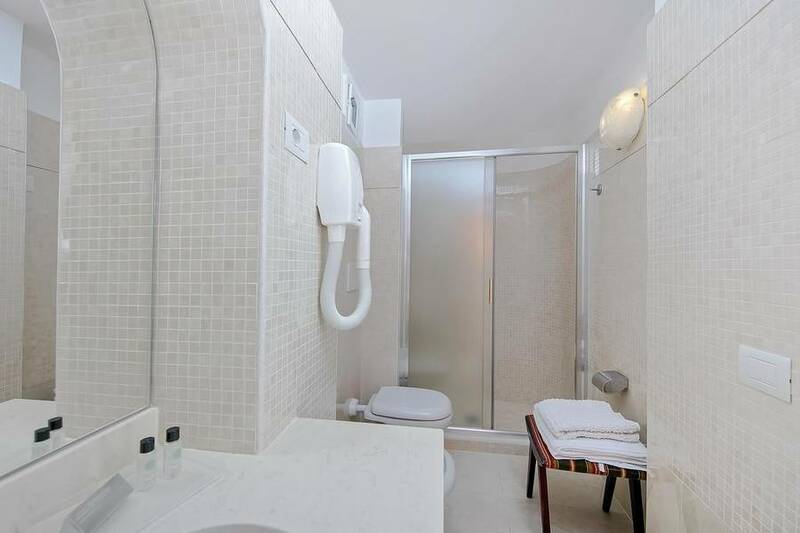 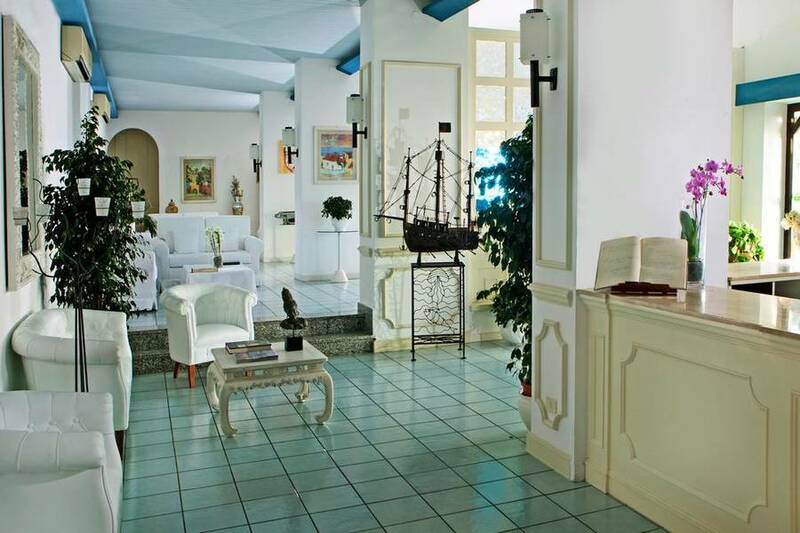 For a romantic break, a relaxing holiday, or business trip, Hotel & Spa Bellavista Francischiello has comfortable and soundproofed rooms of various sizes, elegantly furnished and all boasting stunning views of the island of Capri! 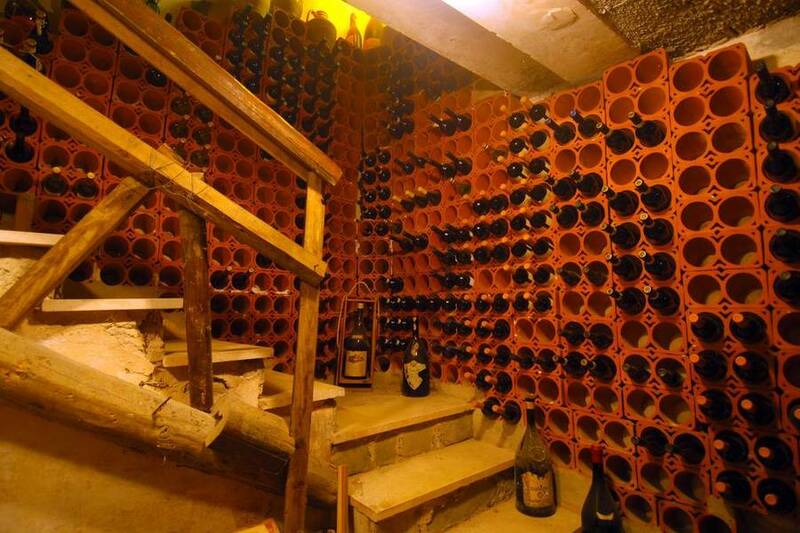 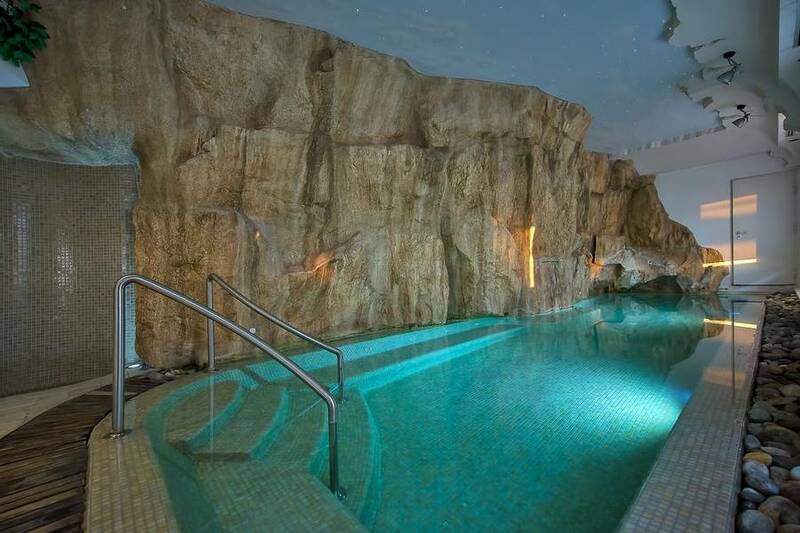 Do you want to treat yourself to a bit of luxury? 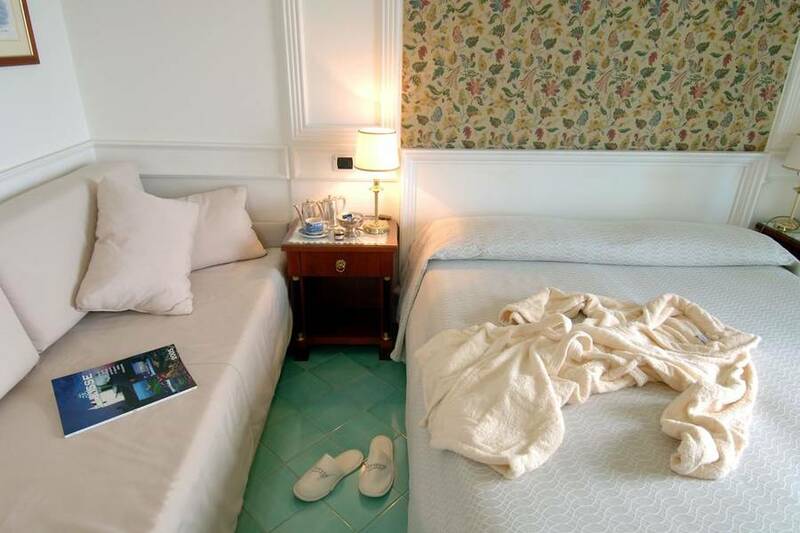 Book one of the three fabulous suites at Hotel Bellavista Francischiello, and enjoy your exclusive 40 square meter terrace where you can relax with views of Sorrento in complete privacy. 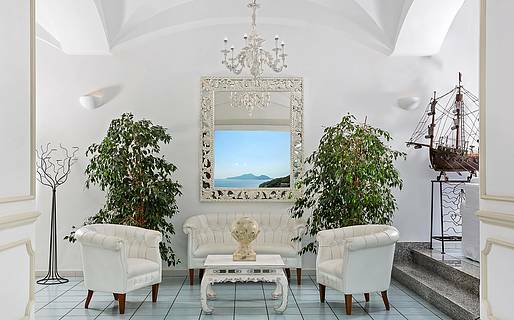 Hot tub, sauna, sun beds, massage, treatments, and a heated pool carved directly into the cliff rock and with a picture window looking out over the Bay of Naples...at the spa at Bellavista Francischiello, you can indulge in uninterrupted R&R! 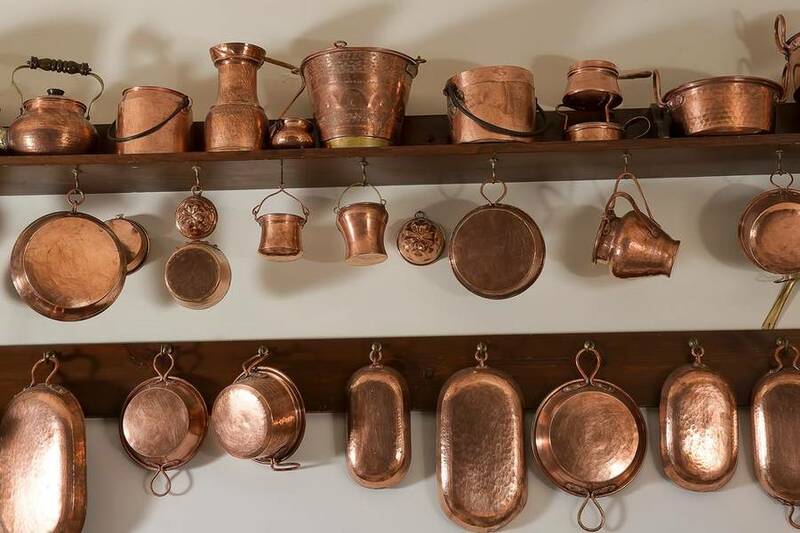 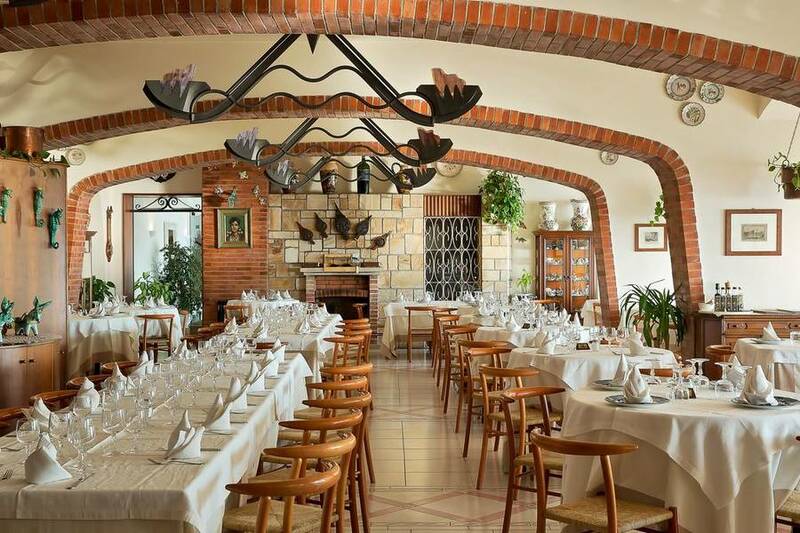 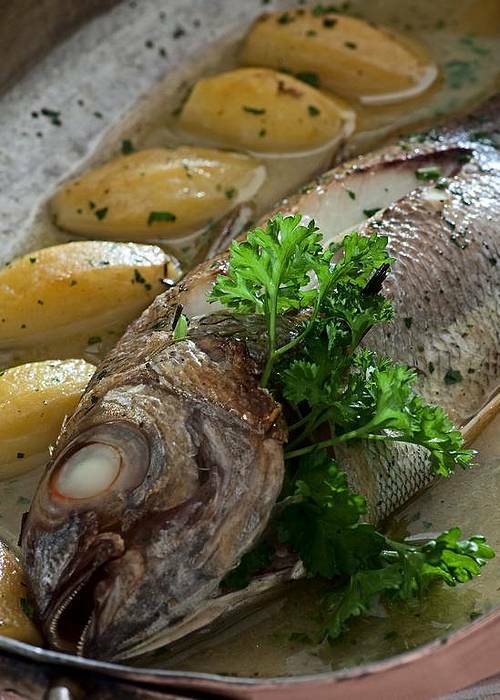 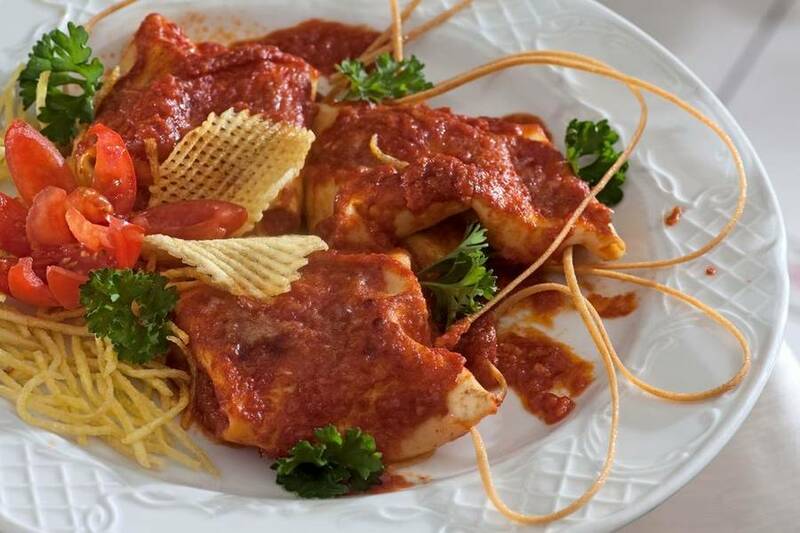 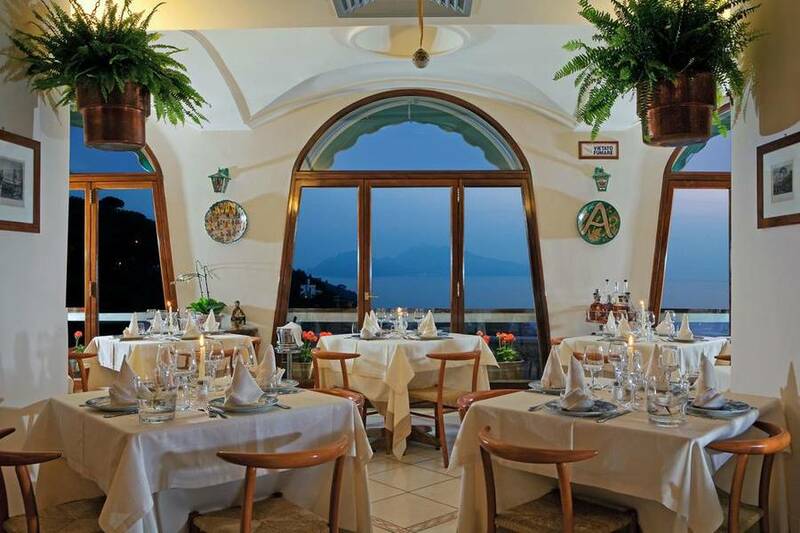 Any holiday in Italy is remembered for its food, and the Francischiello restaurant won't disappoint. 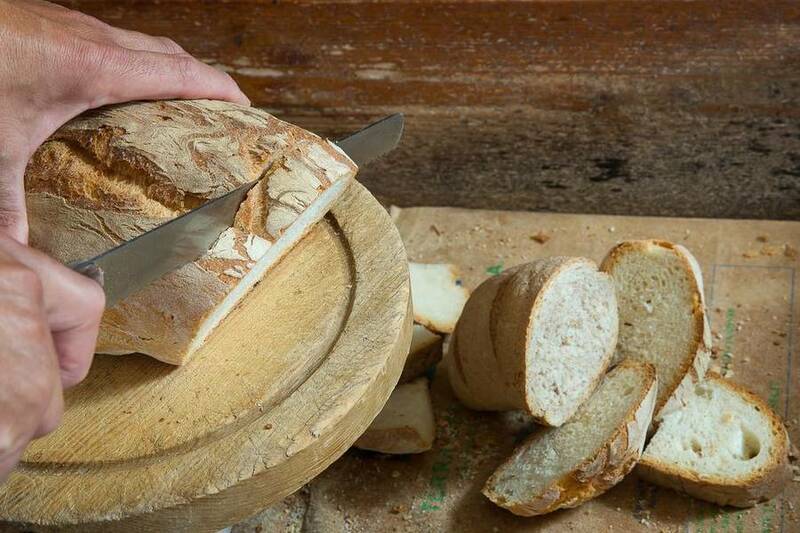 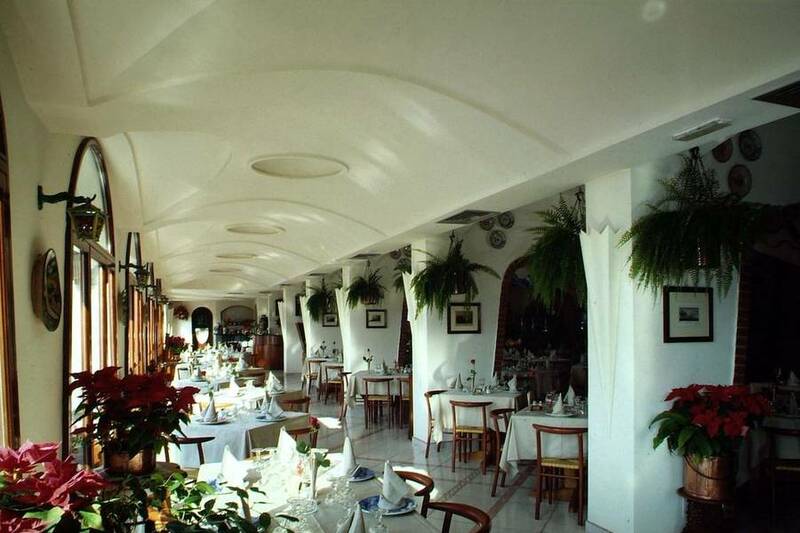 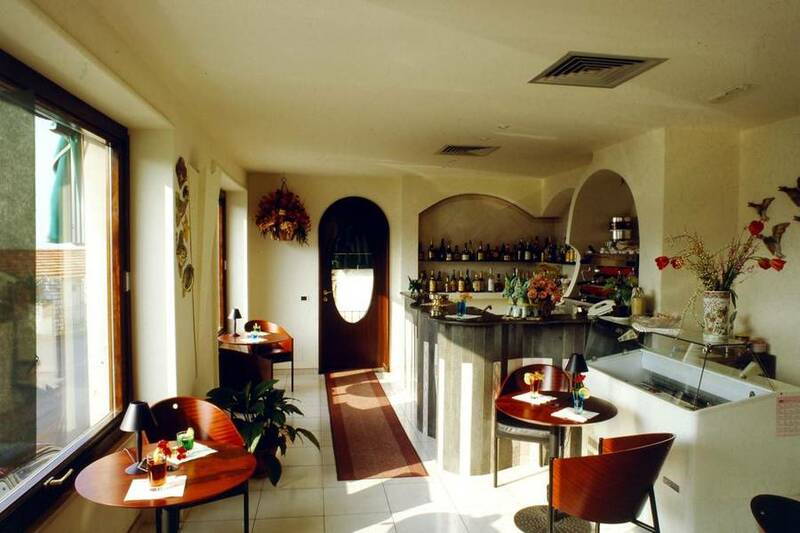 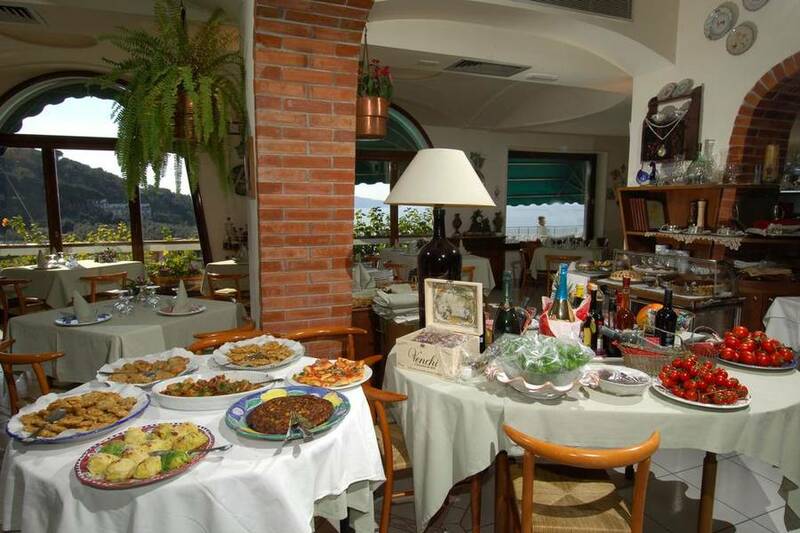 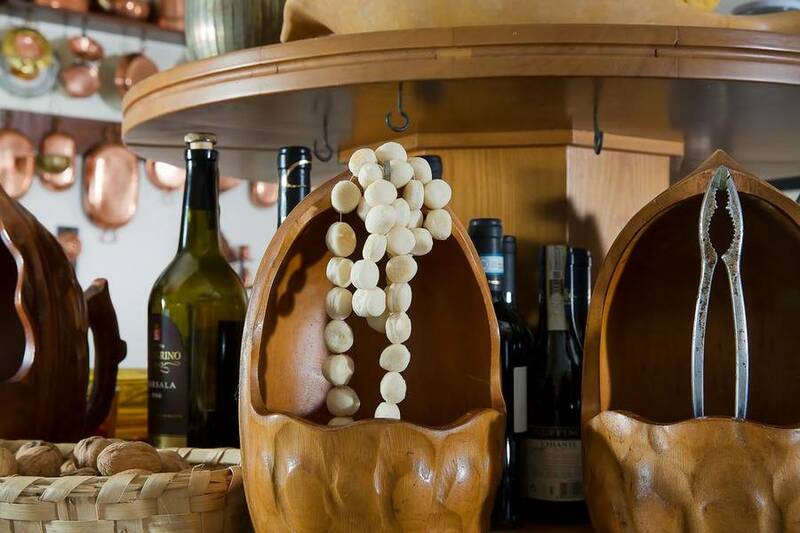 Sample the best of southern Italy's cuisine in a relaxed and friendly atmosphere that puts excellent food first! 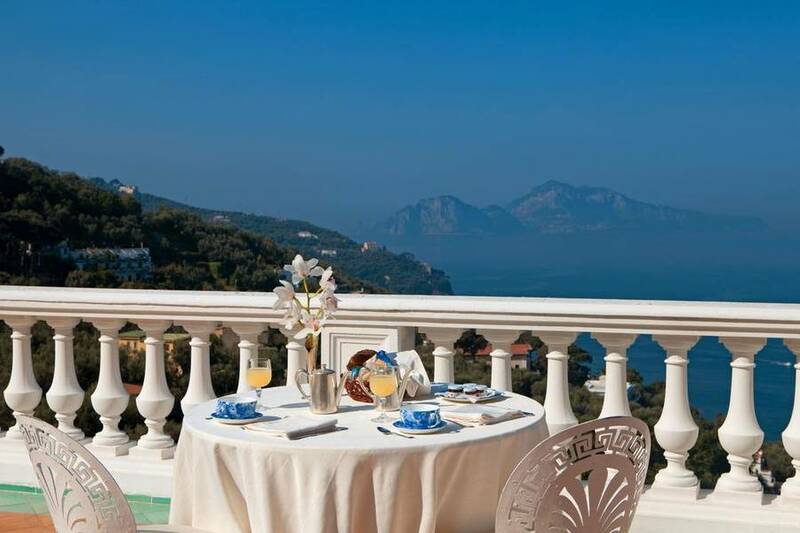 The Hotel & Spa Bellavista Francischiello is in the countryside outside Massa Lubrense, just a few kilometers from Sorrento and with a bus stop for routes to and from Sorrento just outside. 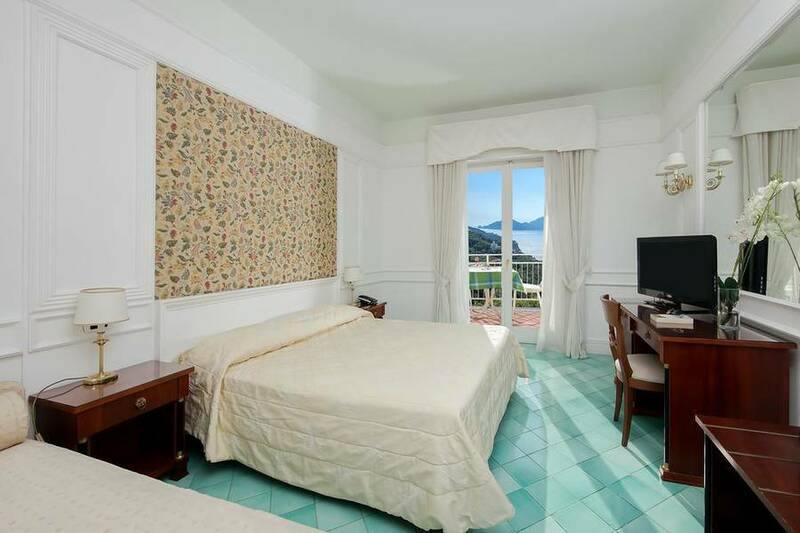 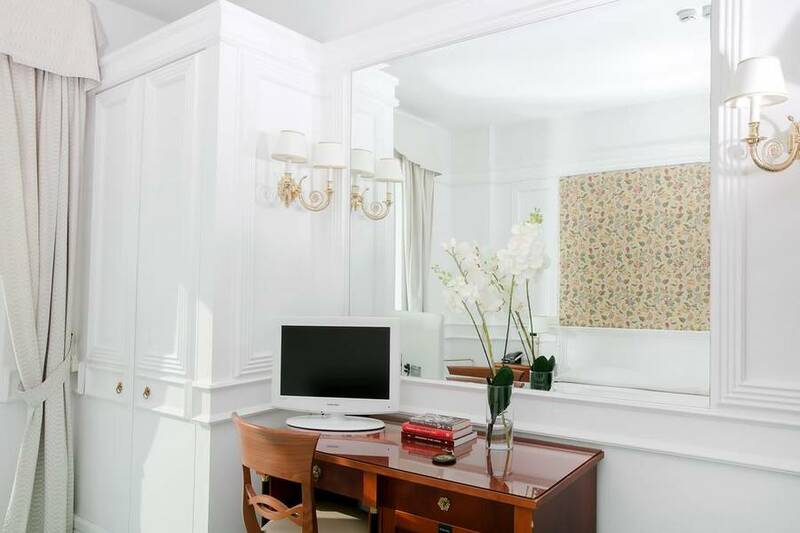 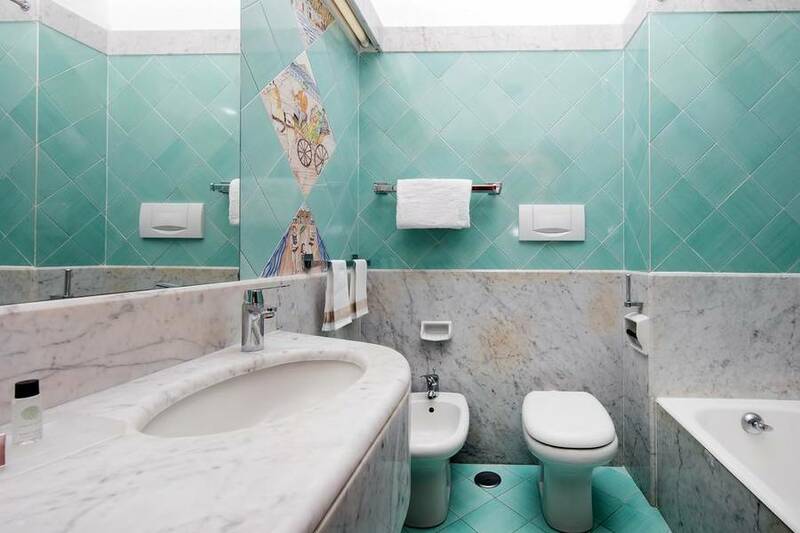 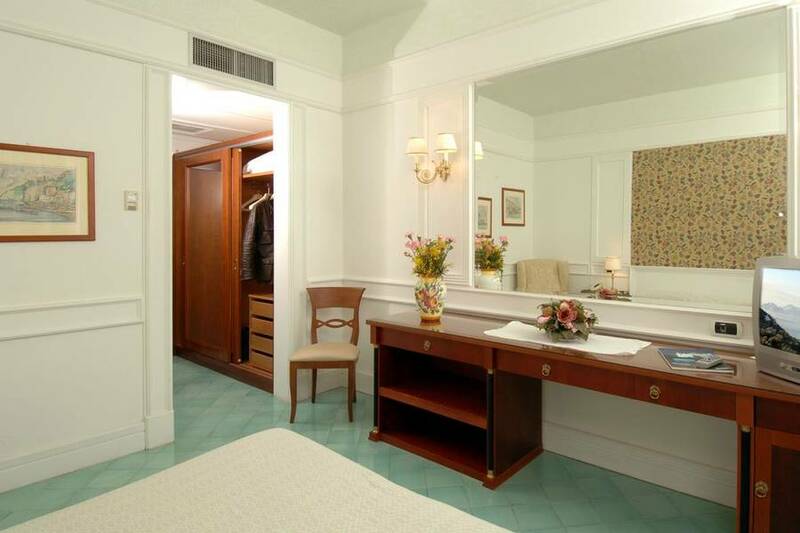 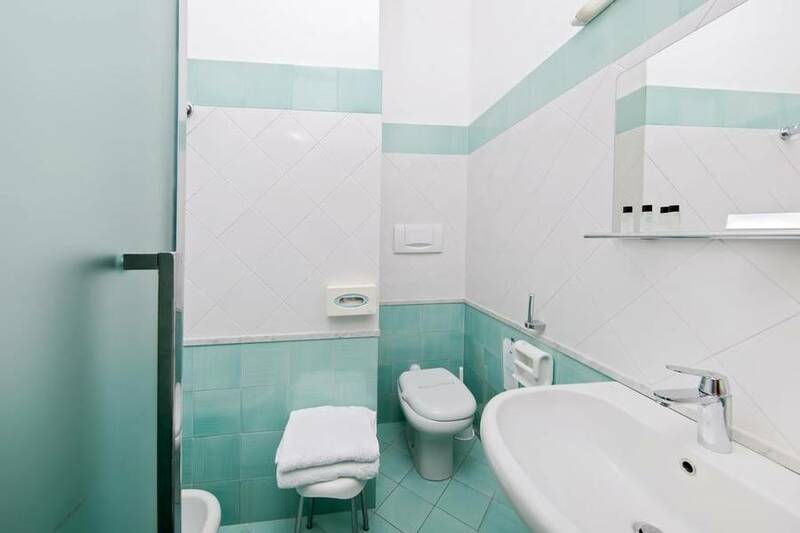 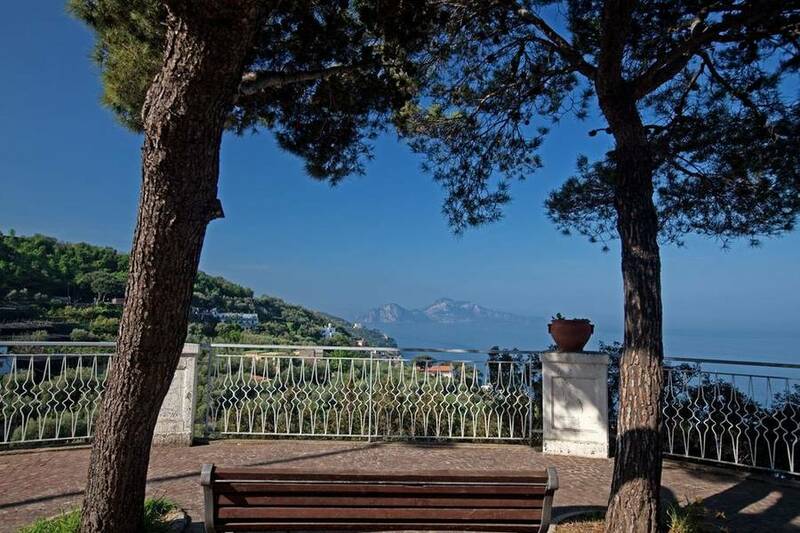 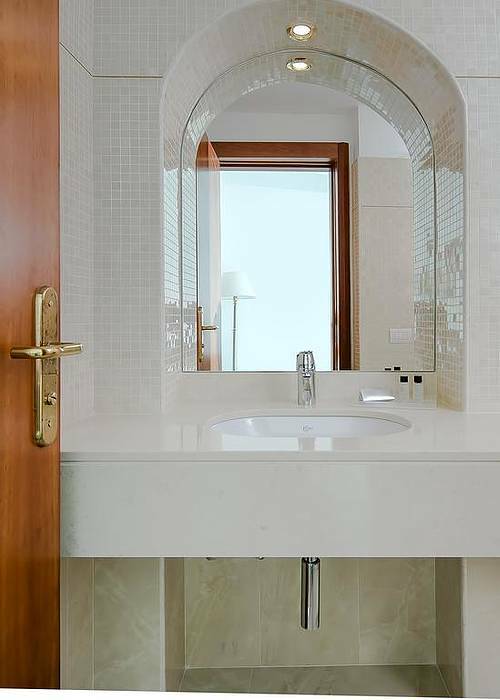 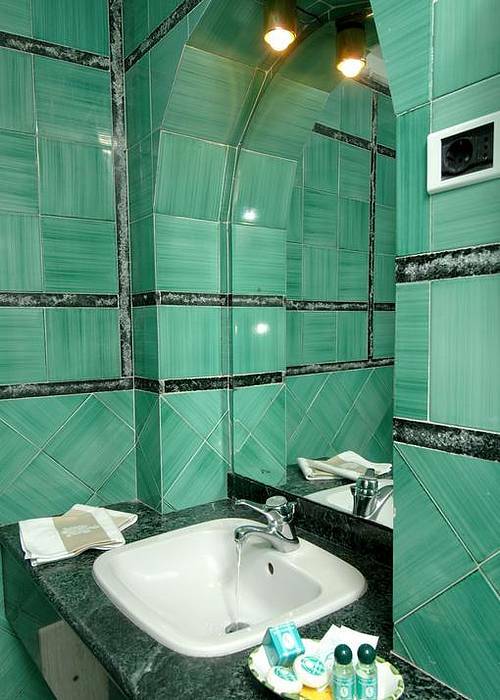 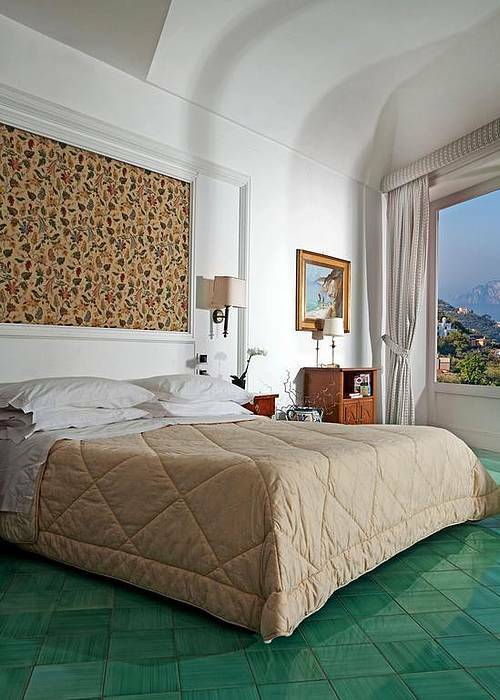 The hotel is ideally located for day trips to both the Amalfi Coast and the coast of the Sorrentine Peninsula, and Amalfi, Ravello, Positano, and Pompeii are all easy to reach.